The Sony Xperia Z1 smartphone had received plenty of admiration since its recent release, especially for the quality of its camera set-up. The camera performance of this phone was already impressive but a Sony Xperia Z1 update is now rolling out that will make it even better and you can see see some improvement sample images here. The Xperia Z1 features a 20.7-megapixel rear camera and f/2.0 aperture, with low-light condition photography being one of its strong points. It also has a 1/2.3 inch sensor with Sony G lens, autofocus, LED flash, and 1080p video capture with video stabilization and there’s also a 2-megapixel front-facing camera with 1080p video. The new firmware update brings further performance developments to the Xperia Z1 camera, with the algorithm improved so that many features such as Sweep Panorama, Burst Mode, AR Effect and Superior Auto are all enhanced further. The update has now begun a global rollout so if your Xperia Z1 hasn’t already received it then it may not too much longer. 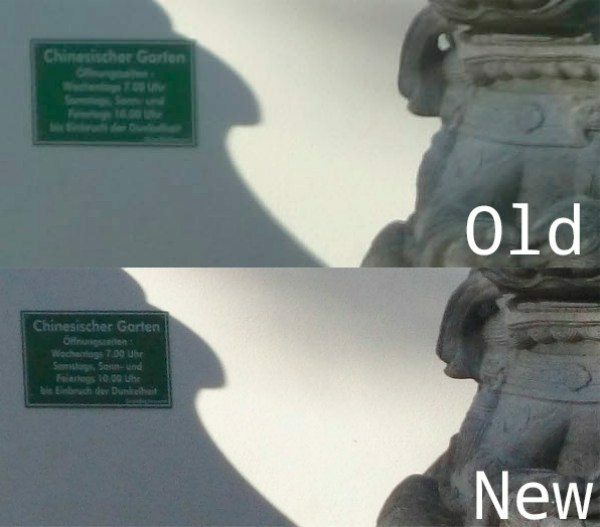 Fortunately one Dutch owner of the Sony Xperia Z1 has already shown some images that clearly illustrate the enriched camera performance following the update and you can see an example of that below. It’s very evident that the newer image has improved color reproduction and that more detail has been captured, so Xperia Z1 users are likely to be very happy with this camera upgrade. If your Xperia Z1 has already received this firmware update what do you think of the camera improvements it brings? Maybe you’re still eagerly waiting to receive the Sony Xperia Z1 update for your device?